The body is in really nice condition with no rust (not that this would be possible anyway as it’s made out of aluminium and composites!) and only a tiny number of age related marks. 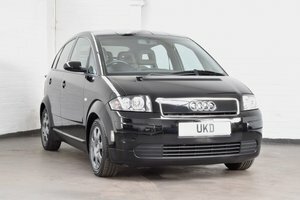 The standard specification includes ABS, ASR Traction control, Power steering, Twin retractable cup holders, Rear head rests, Remote central locking with alarm (With the two original flip keys included) Electric windows, Electrically adjustable door mirrors and a suite of airbags. 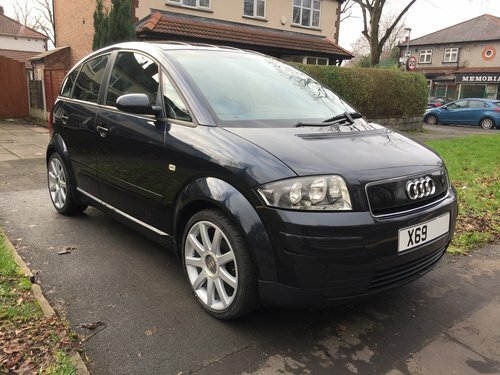 Further features fitted to this car include the lower rear boot floor for extra space, colour matched floor mats and very attractive original Quattro GmbH 17” 9 spoke alloy wheels that have just been refurbished. It also has a powerful Sony audio system installed that includes an aux port and sounds great. I was relieved this car didn’t come with the complicated panoramic sunroof option which can cause all number of issues as it ages. 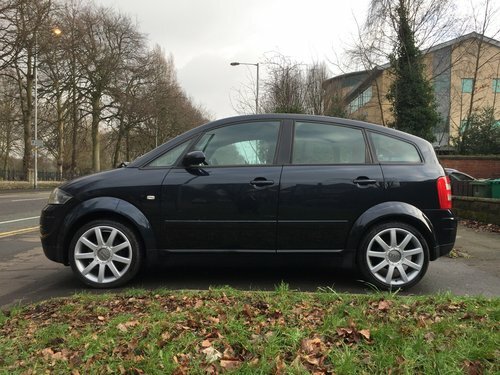 It’s fitted with the best engine, the lightweight and very tough 1.4 petrol producing 75PS. 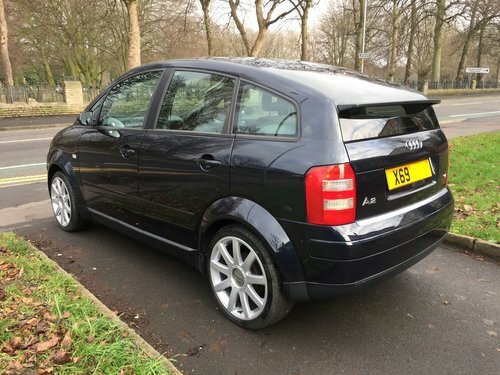 This isn't the less reliable 1.6 Petrol or the noisy diesel model - Its the ideal power unit for an A2. In a car that weighs less than a tonne means it move when you want it to and is also torquey and free revving. 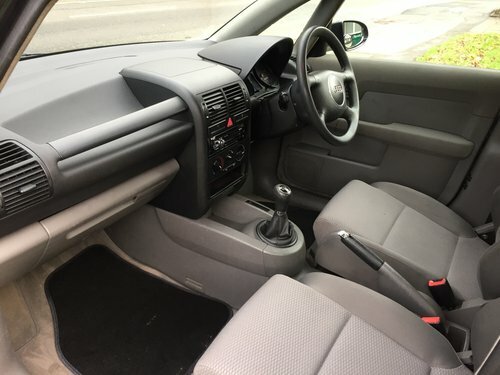 It's in great shape and there are no rattles, leaks, creaks, smoke or other noises as you would expect from such a low mileage car. The clutch and gear shift action is also nice and smooth, the power steering slick and communicative and the whole car overall feels exceptionally refined and tight, the suspension in particular feeling remarkably fresh. The car came with documents but the service book had some stamps missing. It had clearly been looked after though so as a precautionary measure a full service was completed just 200 miles ago meaning this will not need doing again for at least another 10,000. As a precaution I did two oil changes in quick succession to ensure the intervals were as clean as could be. Everything works exactly as it should with no warning lights or service reminders. When I first got the car I put it up on a ramp and checked everything underneath and found all to well. The suspension components and bushes were in good shape with no clonks or sogginess when driving and the MOT history was present backing up the mileage. There was minimal wear on the interior and the exterior plastics and fittings were in very good condition. The advanced design and light weight means it also returns an easy 45mpg. It's small design makes it easy to park yet it is still very spacious inside especially for tall people like me. Parts are also cheap and plentiful. 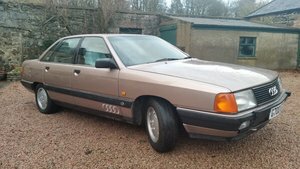 It has just passed its MOT, is HPI clear and also qualifies for cheap road tax and classic car insurance. It has just had its full service so won't need another one for some time (and then it will only be an oil service). 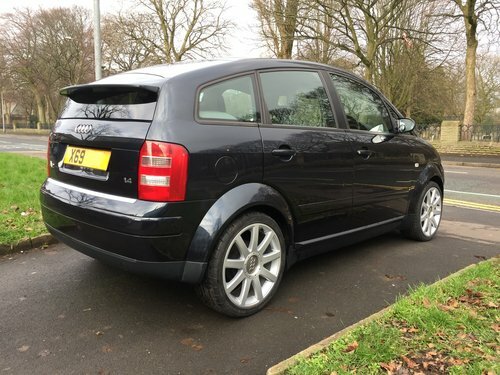 This is certainly one of the very best A2's on sale and makes a great modern classic alternative to a Fiesta, Corsa, Ibiza, Polo, Arosa, Lupo, C3, 107, Fabia, Punto, Yipsilon, Mito etc. 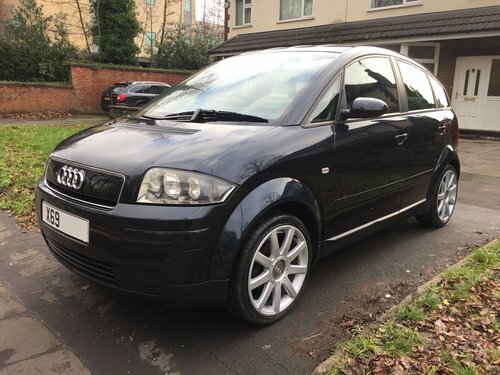 It is a very rare and appreciating asset (I've not seen any others with such low mileage) and a bullet-proof investment that will never rust (it's aluminium) and that could suit someone who wants to use it as everyday transport or someone who would prefer to cherish it as part of their collection. 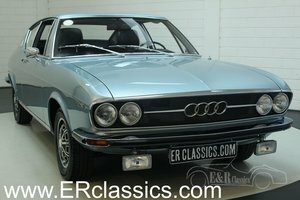 Lovely mettalic blue, with heated grey leather, Rare BBS split rim type alloys, drives very well. Recent tyres, long mot, Genuine 2 owner example. 119k HPI clear. Viewing with appointment only. Part exchange welcome. West London Heathrow.